The 3d International Festival of Landscape Art is being held in the Art gallery of the National Library of the Republic of Belarus. 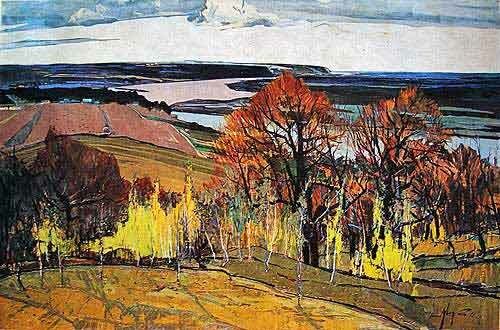 This festival is traditionally dedicated to Vital Tsvirka (1913 - 1993), an exceptional Belarusian artist and a master of landscape art. The sceneries of Belarus created by this talented artist are distinguished for their unrestricted and powerful plasticity. They are charged with inner harmony, warmth and sincerity. Vital Tsvirka equally skillfully possessed a drawing, watercolor and oil painting techniques. Also he was an excellent teacher - plenty of his pupils have become famous artists. Thus, the Festival of Landscape Art first of all is an endorsement of Vital Tsvirka's craftsmanship. Some of his artworks are the part of the exposition. 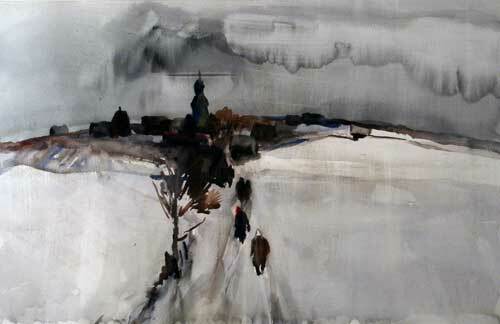 But at the same time, the chief aim of the event is to reveal a present-day state of landscape art in Belarus. 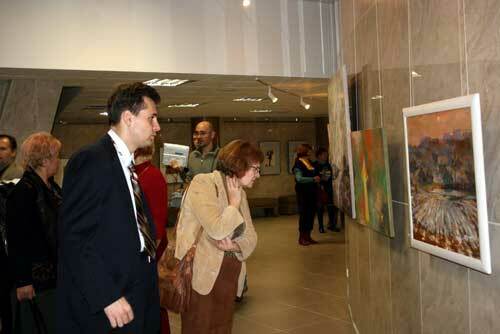 A number of contemporary Belarusian artists have presented their vision using different techniques - paintings, graphic works, photography and applied arts. 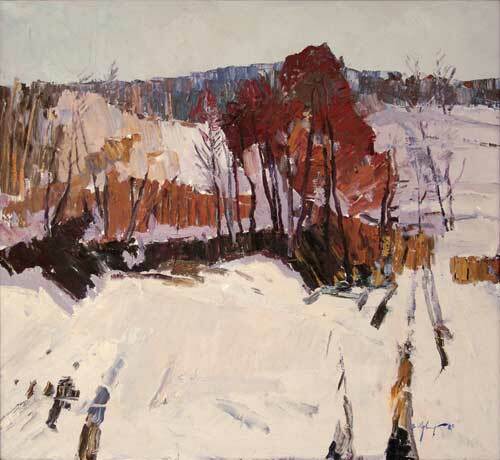 Landscapes by artists from Russia and Ukraine are also on display. The Festival is running through the beginning of December.